Home / News / Behavioral Health Parity–Where Are We Now and Where Do We Need to Go? The Mental Health Parity and Addiction Equity Act ensures that behavioral health conditions and physical conditions are given equal consideration. Now that it’s been a decade since the law was passed, where does parity stand, and what work is still ahead? 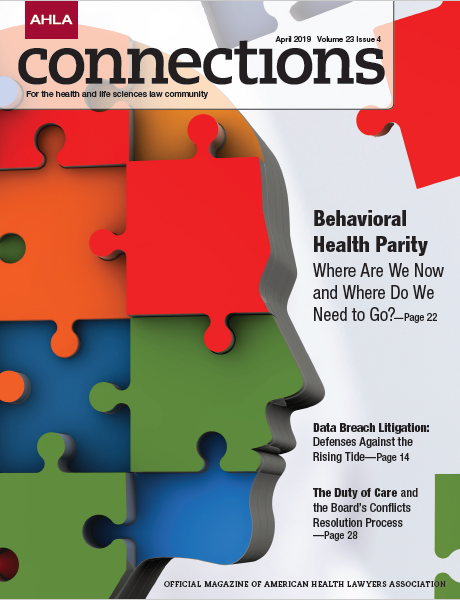 Brad Lerner, Beacon’s Vice President of Public Policy, co-authored a feature for the American Health Lawyers Association’s (AHLA) monthly magazine AHLA Connections that explores the progress payers like Beacon have made to advance mental health parity, and where efforts are headed in the future. ©Copyright 2019, American Health Lawyers Association, Washington, DC.